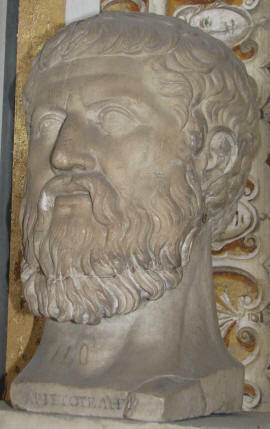 Left: Portrait of Plato from a 4th century BCE original. Courtesy Musei Capitolini, Rome. Right: Portrait of Aristotle. Courtesy Musei Vaticani, Vatican City. The astronomers responsible for the news feeds in our tabloids seem to have a profound disliking for the idea that the solar system, including the earth, has suffered catastrophic changes within the past few thousand years. This intellectual preference is never explicitly stated. 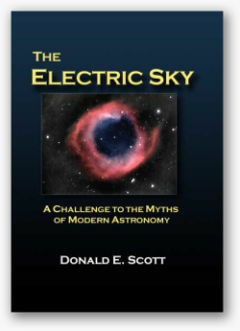 It rather acts on the unconscious mindsets of theoreticians, for example when evidence for cratering on the planets is immediately, without a second thought, relegated to the eventful ‘early days’ of the solar system; when the possibility of unpredictable fluctuations in the planetary orbits is tacitly ignored; or when the pioneering work of plasma physicists like Kristian Birkeland or Hannes Alfvén does not rate a mention in standard textbooks on astronomy. What causes otherwise intelligent thinkers to shut off their minds for alternatives that seem genuinely possible, if not perfectly viable? A conspiracy? Ill will? Naivety? Or an intellectual blind spot? From a historical point of view, the legacy of Aristotle may prove very instructive. 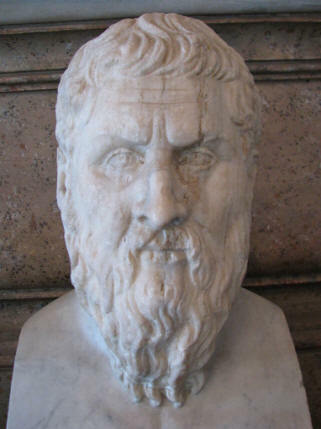 In his dialogues, Aristotle’s teacher, Plato, had happily speculated about cyclical episodes of destruction both on earth and on a cosmic level. One of his main interests was to incorporate ancient traditions about a reversal of the sun, a worldwide flood or a consuming fire into models that made scientific sense. For Plato, the realm of absolute, immutable perfection was not that of the stars and planets, but lay outside the material world altogether. His junior, Aristotle, would have none of this. Downplaying any traditions about global floods and fires, Aristotle regarded the spheres of stars and planets themselves as unalterable, immune to any form of decay or change. To such lengths would he go that even comets were removed from their place among the planets and relegated to the ‘elemental’ region below the moon, where meteors and auroras belong! If Plato had no qualms to contemplate catastrophes, Aristotle was an out-and-out uniformitarian thinker – a contrast lucidly discussed by the British historian, Peter James, among others. Intriguingly, this change in sentiments seems to have repeated itself on a larger scale among post-medieval scholars in Europe. When Renaissance savants first rediscovered Greek literature, Platonic philosophy was all the mode, often tinged with Gnostic or Hermetic notions. 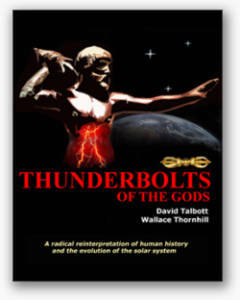 During this time, the likes of William Whiston and Sir Edmond Halley felt no compunction to entertain the thought of comets precipitating the global flood of Noah or the tilting of the rotational axis. The seeds for change were sown when Gottfried Leibniz, a cardiac Aristotelian, declared with overweening confidence that natura non facit saltus, ‘nature does not make a leap’, and worked with zeal on the theory of a great continuous ‘chain of being’ that would join all forms of life. This anti-catastrophist attitude snowballed into a movement culminating in the 19th century in the paradigms of steady evolution championed by Charles Lyell, Charles Darwin and a host of minor figures, which overshadowed any remaining catastrophists completely. On a big-picture view, the course of western science since then can be seen as an on-going effort to liberate the study of transient events in space from the obfuscating clutches of latter-day Aristotelians. The reality of meteorite falls continued to be denied as late as 1833. Sunspots long sat uncomfortably with many who preferred an ‘unblemished’ sun and Herschel’s claim that sunspots may have an effect on terrestrial weather and climate continued to be vociferously opposed even in the early 20th century. More recent developments in astronomical theory can be seen in the same light. Comet impacts remained taboo until Alvarez & Alvarez identified iridium in the extinction layer of the Dinosaurs in 1980. When comet Shoemaker-Levy 9 visibly impacted on Jupiter in 1994, any illusions that impacts only occurred millions of years in the past were firmly dispelled. Nevertheless, many astronomers carry on minimising the odds that the earth is hit by a Near-Earth Object (NEO) – but for how long? 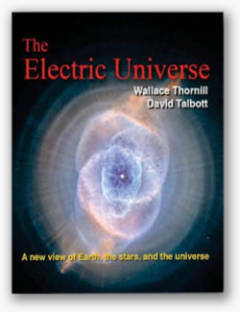 Evidence that the solar system is a highly structured electromagnetic apparatus continues to roll in and it may not be long before the full implications of a universe driven by plasma must be faced by all. Mathematicians deserve much of the blame for the Aristotelian inertia that has obstructed progress for so long. Leibniz was a mathematician; the findings of Richard Carrington and Kristian Birkeland, since proven true, were mainly opposed with mathematical arguments; and today’s astronomers have a penchant for such mathematical fantasies as string theory, black holes, Big Bang analysis, and so on, which prevent any genuine understanding of the universe. This state of affairs is hardly surprising. By nature, mathematicians are attracted to numerical precision, regularity and a cosmos running with a clockwork stability. For those with an instinctive visceral aversion to phenomena that are irregular, unpredictable or hard to measure and calculate, a universe with cometary intrusions, planets prone to orbital adjustments and stars of which the age and distance cannot be confidently inferred must be a nightmare. Who is to say nature cares about a propensity for human number games? A scientist deserving of the name must bow to observational evidence and accept that good observations and traditions take precedence over theoretical preferences. Maths must be ancillary, not dominant, as the intellectual stupor of the Aristotelian outlook gives way to a Platonic curiosity and acceptance of what is.